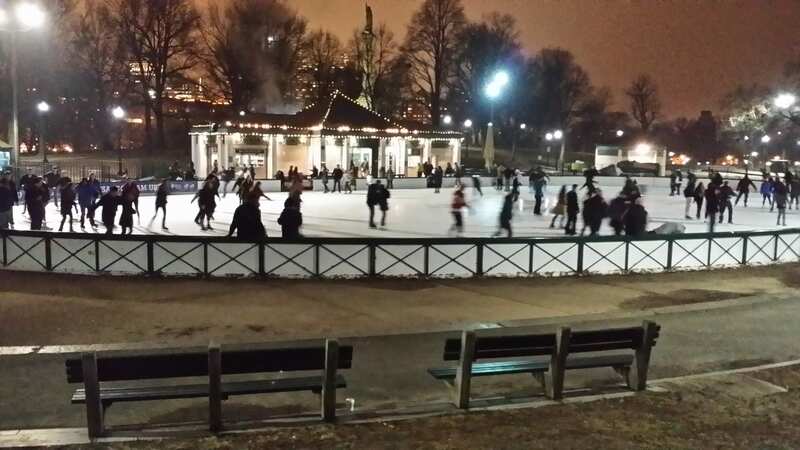 Looking to go Ice Skating at Frog Pond this winter in Boston? Groupon currently has discount tickets available to Frog Pond for couples or a group of 4 at a discounted rate. The daily deal includes admission and skate rentals for $18 for two or $35 for four people. Keep in mind that the Frog Pond Ice Skating daily deal is only good on the weekdays and is not valid during February Vacation week. (Ice Skating is actually free during February Vacation for Winter Camp anyway). Promotional value ends on March 1, 2019 and can change based on weather. For all the terms and conditions of the Groupon, please head here. Full-price admission for Ice Skating at Frog Pond is $6 for those over 58 inches and free for those under 58 inches. Rentals for ice skates are $12 for adults and $6 for kids. The Groupon daily deal is a good deal if you plan on ice skating this season during the week and both adults need to rent ice skates as rentals are the most expensive fee. College students can also receive half price admission on Tuesday nights from 5-9pm and free admission on your college night, rentals not included. Also, each Tuesday Frog Pond will feature different local colleges with free admission each week, so check out the schedule to find your free college night. For more information about discount tickets for ice skating at Frog Pond this winter via Groupon, please head here. Will you be ice skating at Frog Pond this winter? 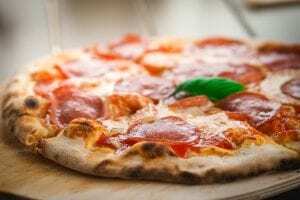 The PRUferred Shopper Card is a free discount card available at the Prudential Center in Boston that offers discounts on your favorite shops and restaurants. You can pick up a 2019 PRUferred Shopper Card at the Concierge Desk off Center Court at the Pru for free and then use the card to get additional savings. Just simply show your free proffered card at a participating restaurant or retailer to receive the discount. Easy! For more information about the 2018 PRUferred Shopper Card at the Prudential Center and to see all the discounts, please head here. Have you used the PRUferred Shopper Card before at the Pru? If you are a federal employee and affected by the government shutdown, there are many local and national companies looking to help. Barbara Lynch Collective: Complimentary hot dish to federal workers and their families at Sportello, B&G Oysters, and The Butcher Shop on Monday, January 28th between 4-6:30pm with a reservation at the restaurant of your choice, please bring government ID. Party size limited to 4 people. Boston Symphony Orchestra: Furloughed and federal employees required to work without pay can get two tickets to the Orchestra for free with Government ID. Norman Rockwell Museum (Sturbridge, MA): Free admission and one guest for furloughed federal employees with ID. Sky Zone: Federal government employees furloughed or currently without pay and up to three (3) immediate family members are invited to participating Sky Zone parks Tuesday through Thursday in January for 60-minutes of play for free. The Village Works (Brookline): Free co-working space for furloughed federal employees in January. If you are looking for more Shutdown Specials during the Government Shutdown, you can search #ShutdownSpecials on Twitter for all the freebies and offers. I’m going to try to retweet as many as I can as well, so make sure to follow me on Twitter if you don’t already! Also, a big thanks to Phillip, Tyrone, and everyone that sent shutdown deals to me lately! I appreciate it! If you know of any furlough freebies in Boston that I may have missed or have been recently added, please leave them in the comments below or send me an e-mail or tag on social media! Thanks! 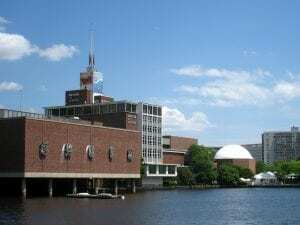 Are you looking for discounts to the Museum of Science in Boston? The Museum of Science is located at 1 Science Park in Boston and is a fun and interactive museum for all ages. Admission to the exhibits at Museum of Science is $28 for ages 12+, $24 for ages 60+, and $23 for ages 3-11. Children under 3 are free. I recently went to the Museum of Science with my two little ones for free with the reciprocal membership benefit! For Christmas, I had asked for “experience” gifts and I had received a membership to the Capron Zoo in Attleboro. A family membership to Capron Zoo is $70 for the year and comes with (AZA) reciprocal benefits, which includes free admission for two adults and two children to the Museum of Science! I can use my Capron Zoo season pass anytime to the Museum of Science. I didn’t have to wait in the ticket line either– we just went straight to the entrance and showed our season pass for a fast entry! It was super easy! If we just showed up to the MoS without any passes, coupons, etc. we would have paid $79 in admission for two adults and one child, which is more money than a season pass to Capron! You can also pick a different reciprocal zoo or museum (like Buttonwood Zoo in New Bedford) or get a season pass directly to the MoS if you rather get more member perks besides free admission! We chose a Capron Zoo membership because it was half the price of a Museum of Science family membership, and I loved the fact I could get free admission for 4 to the Museum of Science whenever, and I didn’t care about the other membership perks that came it. I know the library passes negate the need of a membership but sometimes the library passes need some pre-planning as they book up, which I’m not the best at with small children. We also get free admission and discounts to other museums and zoos in the area which I’m going to take advantage of. The Museum of Science also participates is the ASTC passport program so if you are visiting over 90 miles away from the Museum and have a membership to a museum over 90 miles away as well, you can show your membership to get free admission for up to 4 people, depending on membership level, to the Museum of Science. For more information or to view participating ASTC attractions, please head here. There are so many great ways to save at the Museum of Science. What is your favorite way to save on admission? Head to Legal Sea Foods on Tuesday, January 15, 2019 for “Chowda Day” where you can grab a cup of their signature clam chowder for $1. The $1 clam chowder offer is available when you purchase an entrée anytime on 1/15/19 at any Legal Sea Foods location. For more information or to find all participating locations, please head here. 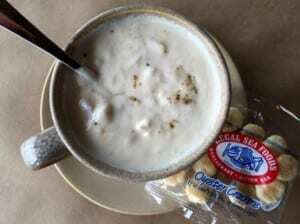 Will you be enjoying “Chowda Day” on 1/15/19? 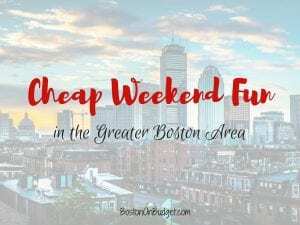 Cheap Weekend Fun in Boston for January 12-13, 2019! Happy (almost) weekend! I don’t have too many suggestions for this weekend, sorry! I’m having a hard time finding a lot of free events in mid-January, but luckily Sunday there’s a big game on! Let me know in the comments below if I missed anything fun for the weekend. Snowflake Festival: Sunday, January 13, 2019 at Brookline Arts Center from 1-3PM. Join the Brookline Arts Center for a fun afternoon filled with art and fun for all ages! Also, if you plan on using the commuter rail for any weekend plans, you may want to check out the $10 unlimited pass for the Commuter Rail if you haven’t already!